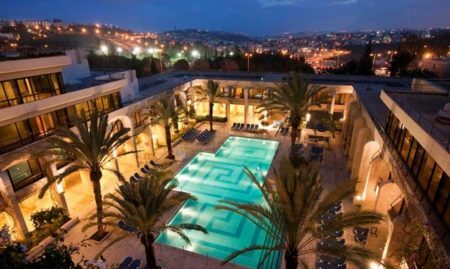 The Post Hostel offers new and exciting tours around Jerusalem for hostel guests and for everyone who wants to learn, know, and see more of Jerusalem. 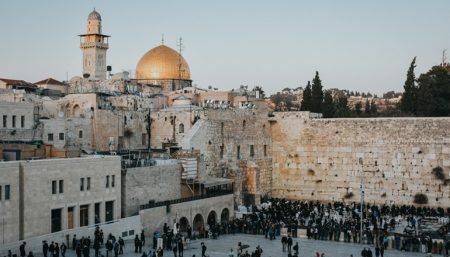 This tour series takes you to the most important Jewish sites and explores unique Jewish neighborhoods that can be found only in Jerusalem. Join an enriching half-day tour around the Holy City of Jerusalem! Get a taste from each quarter and explore the traditional cultures of Jerusalem. When: Every Sunday, Monday, Tuesday, Wednesday, Thursday at 8:45 AM. In-house guests: 50 NIS. External participants: 100 NIS per person. Breakfast and entrance fees included. 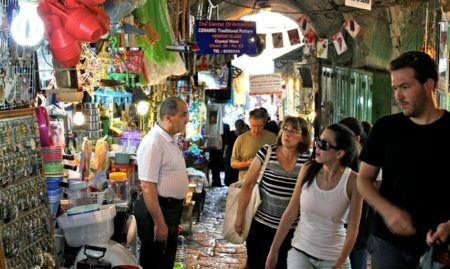 Discover Mea Shearim – one of Jerusalem’s most guarded religious neighborhoods! This 2-hour free walking tour of the Ultra-Orthodox Jewish neighborhood takes you through the dynamic residential neighborhood of Mea She’arim. The tour will also explore the diverse neighborhood of Musrara and its picturesque alleyways. The tour will end with a taste of old Poland in a European-Jewish style bakery. When: Sundays & Fridays at 11 AM. Experience the powerful feeling of welcoming in the Shabbat, the Jewish weekly holiday, at one of the world’s most sacred and visited places – the Western Wall. Enjoy an unforgettable Saturday afternoon exploring the Mount of Olives! Explore Mount of Olives – a very important site for Jews, Christians and Muslims – with this fascinating 3-hour tour! Head up the mountain and visit the important churches; see ancient sites and walk past the oldest organized cemetery in the world. While at the highest point in Jerusalem, enjoy the iconic view of the city from the top of the Mount of Olives. When: Wednesdays & Saturdays at 2 PM. Since these tours are taking place in religious environments, modesty is key! This includes long sleeves for women, no tank tops, long trousers for men, long dresses or skirts for women. Women should consider bringing a scarf or shawl.